Last year, Hollyburn Properties celebrated 40 years of business – owning, operating and now building enduring rental communities in three provinces across Canada. To recognize this milestone, our team launched a series of celebratory campaigns, events and projects. 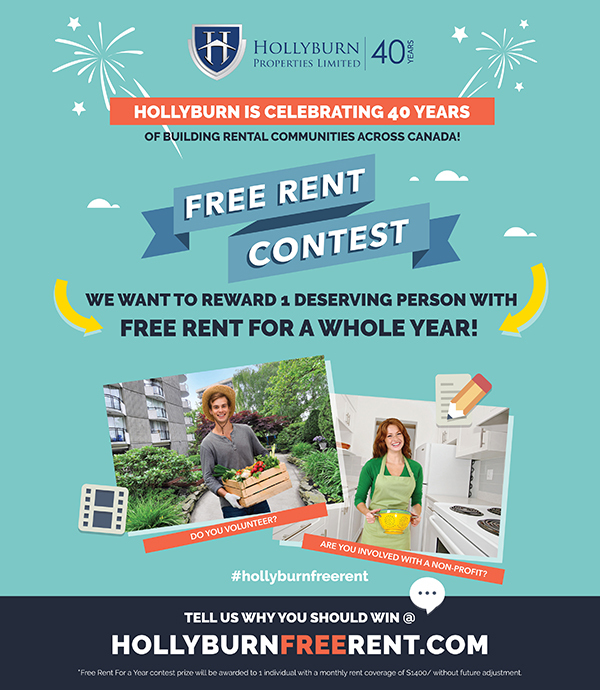 Our single most rewarding achievement, however, was without a doubt – The Hollyburn Free Rent Contest. Our family company actively supports a mission of community service and outreach through a series of social impact programs, sponsorships and charity initiatives that allow us to affect change in meaningful ways and contribute to harmonious urban living. “Do you or someone you know contribute to building up your community? We want to reward one deserving person with FREE RENT for a whole year in a premier Hollyburn apartment. Imagine the positive impact you could make if you didn’t have to worry about paying rent for a year! With the prize of free housing for a year, a $17,000 value, we aimed to target someone who truly deserved it. Someone who was selfless in their day-to-day, committing their life to social causes. Someone who would likely pay it forward with their time and energy. Someone to whom this gift would make a significant impact. Ultimately, three top finalists were put to a public vote. When the numbers were tallied, we could not have been more honoured to announce the grand prize winner – Reverend Jan Rothenburger of Toronto. 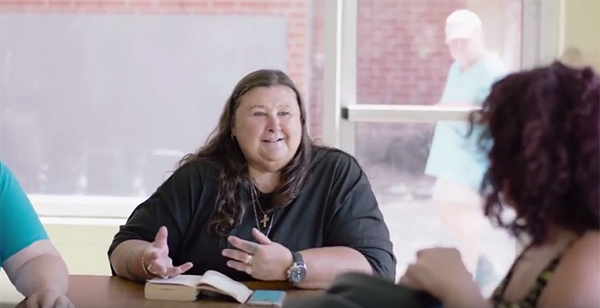 “Jan’s life is devoted to serving those in need, mostly women and youth who are street and prison involved, many struggling with addictions. People society would rather not think about. She works long hard hours serving, helping, trying to save them from the degrading and humiliating situations in which life has them trapped,” says Agnes, Jan’s neighbour that nominated her for the contest.